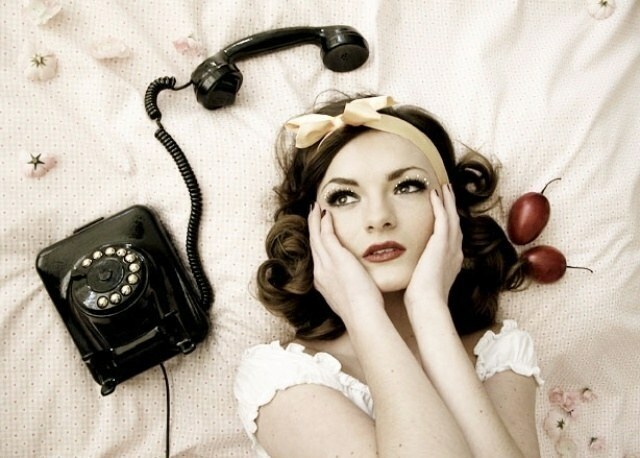 I decided to call from your home phone, and in the silence? Do not rush to call the master and spend the extra money. Often the fault can be removed independently, and quite easily. One of the reasons for the refusal of a home phone can be a trivial non-payment. To clarify the availability of debt or to inform you about the payment you can service phone numbers listed on the accounts, and also in the personal Cabinet on the website of the telephone operator. Note that in the case of disconnection of telephone for non-payment reconnection after depositing the funds may take about a day. To avoid such a situation, pay your phone bill not later than within 20 days of receipt of the receipt. Keep in mind that if the payment was made after the 28th of the month, credited to your account it will be only next. Don't forget that you can pay for the phone and to obtain receipts, after the 7th day of the month in any branch of Sberbank. To do this, simply call the phone number. Perhaps, the failure occurred directly in your phone. To test this, try to reconnect it, for example, from neighbours, or to connect to existing cables other apparatus. If you have a cordless, it is also possible that the handset battery is dead and needs to be replaced. The smaller the tube keeps "charging" outside the base station, the less power is left. Telephone cable (usually white and pink) stretches from the General fuse box is in the apartment, there is connected to a small phone Jack, and already it is a separate wire leading to the phone. Also most modern phones connected to the network. Check all connections: 220V socket, telephone socket. Maybe one of the joints in the cable simply fell out of its "nest." If everything is in order, you should check the wire from the telephone Jack to the panel - he may be torn or pinched. It happens quite often, especially if the cable is laid under the threshold of the entrance to the room, in the apartment there are children, Pets. In case of breakage this breakage it is possible to fix it myself: wires will need a little clean up and re-roll in pairs to each other, and then with tape. Current you hit, moreover, the polarity of the telephone wires is absent, and therefore can not be afraid to connect them incorrectly. A crackling, rustling noise . This is the "symptoms" of malfunction of telephone lines. In this case, also worth checking all the wires, and in the case of integrity to call your telephone company. It is hard to hear . Most likely problem occurred in the dynamics of the machine. If the phone is old, then there's speaker of the coal, and sometimes enough to simply knock on the tube. 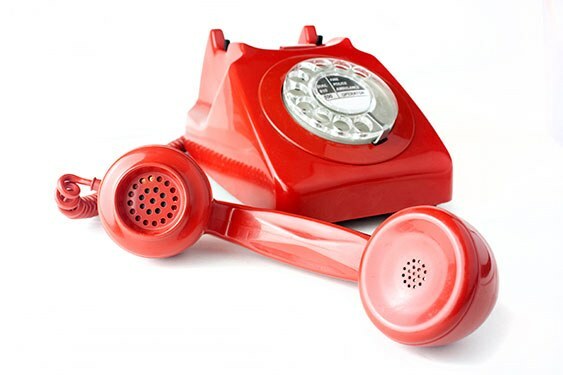 If the phone modern and the volume set to "high", but still do not hear anything, have to go to a professional or replace the unit for a new one. Phone not responding to button presses . Maybe they just Samusocial. Try to remove the cover and carefully wipe with a push button mechanism with alcohol. Home phone, it would seem, is gradually replaced by mobile. However, without a landline continues to not be couch potatoes and lovers of long conversations. Where to go for help if the phone suddenly stopped? If the phone shows no signs of life, primarily self-check all wires and their connections. There is a possibility that the root of the problem is just in the malfunction of your phone, not a problem on the line. To find out, plug any other stationary apparatus. This probably was overlooked or you have, or your neighbors in the attic. If this unit is silent, then the problem is likely on the line. If you have a parallel phone and check its serviceability. Please note: if a communication problem coincided with the windy weather or renovation works in your home, then this is definitely a failure on the line. In this case, the test with the old phone may be waived. Now that there is confidence in the technical problems on the line, find out which company services your telephone network. Find the phone a single service center of your operator - on the Internet or in the receipts for payment of telephone communication. Use your mobile phone or ask assistance from the neighbors if their phone is defective. Tell the operator what city you live, what your telephone number in whose name it is registered, and describe the problem. The operator will take your request for repairs and will direct you to the wizard which should identify and eliminate breakage. Possible cause broken phone can be the gap that the company must liquidate absolutely for free. If the gap of the telephone line occurred directly in the apartment, the repair will have to pay you. On the day of arrival of the master you will have to put aside all their Affairs and stay home. If the failure is external, the specialist will call you to phone home, to verify that the fault is corrected. If the damage occurred on your premises, you need to provide access to the master in your apartment. After some time, you should call the operator to verify the serviceability of your phone. Unfortunately, not all companies providing telephone, working quickly. Do not be lazy to call back to the service and to remind myself.